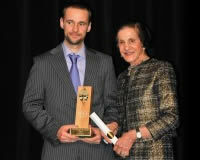 To the multi-award winning Wetland & Wildlife Creations (WWC - a division of Environmental Restorations P/L). WWC have been the leaders of habitat creation and environmental repair for over 35 years. Having completed several thousand projects Australia-wide, we can Consult, Design, Construct and/or Implement any project. A member of our team is available to discuss your environmental vision. Daniel Brindley, owner of WWC, recently won an award from the United Nations Association of Australia (Victoria) for his life-long contribution to environmental improvement, education, and philanthropy. 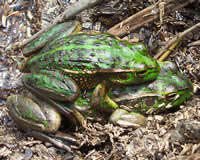 While restoring the banks of the Snowy River in Orbost, VIC - our team discovered Growling Grass Frogs. This frog is now endangered, having seen a drastic decline in recent decades. It was therefore great to find these frogs inhabiting an active revegetation site. This Summer, our Remote Area weed control teams will be heading right up into the Alpine National Park for the East Gippsland Catchment Management Authority. 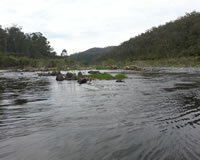 They will be targeting Willows along creeklines that feed important rivers such as the Snowy River and Mitchell River.